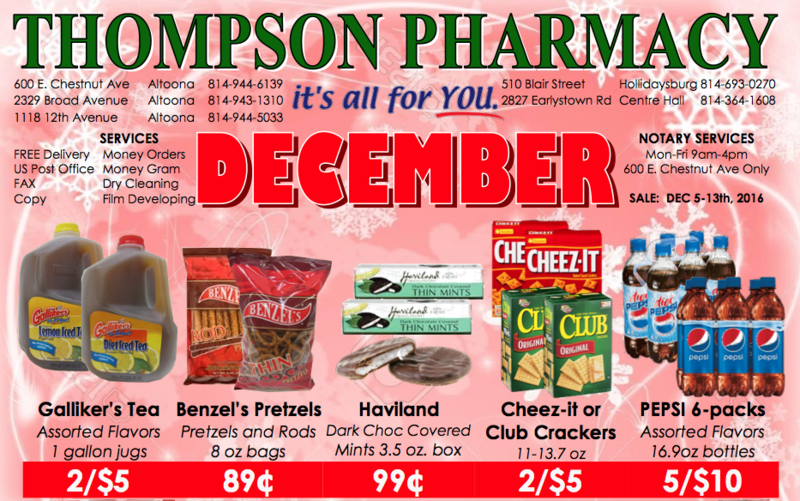 Thompson Pharmacy December 2016 Flyer! 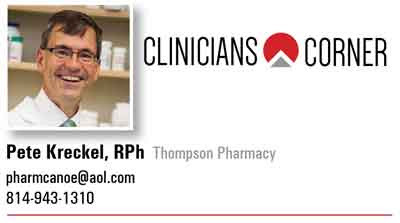 Thompson Pharmacy has the perfect gifts. Browse through our December, 2016 flyer. CLICK HERE to download or print the December 2016 flyer. Black Friday 2016 Deals All Week! 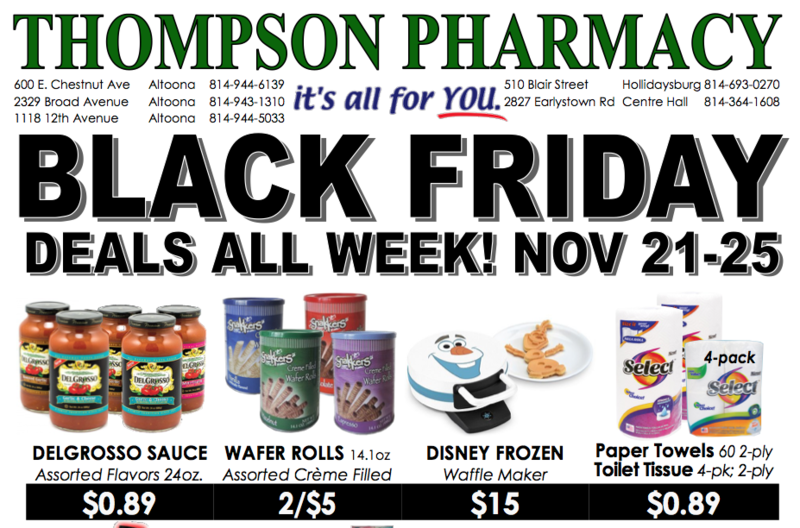 Thompson Pharmacy offers Black Friday deals all week long! We are closed Thanksgiving Day. Don’t forget, you can visit with Santa 11:00 AM to 1:00 PM Nov 26th at Hollidaysburg and Nov 27th at Chestnut Avenue. Click here to download the 2016 Black Friday flyer! 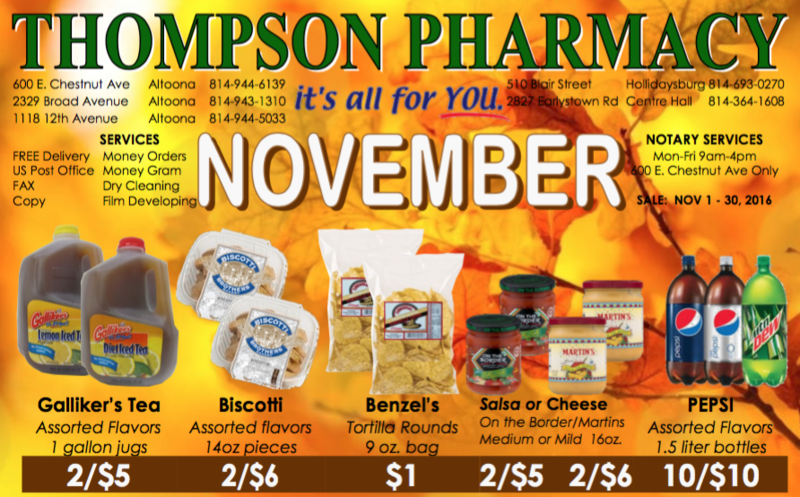 Thompson Pharmacy November 2016 Flyer! Thompson Pharmacy has the perfect gifts. Browse through our November, 2016 flyer. CLICK HERE to download or print the October 2016 flyer.